As a result of these changes, surgery will no longer be required to amend the gender marker on your birth certificate. Gender markers can now be changed with proof from a health care provider stating that you have “undergone surgical, hormonal, or other treatment clinically appropriate for the applicant for the purpose of gender transition.” This proof can be provided by a physician, advanced practice registered nurse or psychologist. No particular procedure is required, and it is not necessary to list surgeries or medical procedures that have been undertaken. Note: You can find a Medical Provider Affidavit form at the CT Department of Public Health website. “I, [Name of Provider], declare under the pains and penalties of perjury that I am a licensed [Physician/ Advanced Practice Registered Nurse/Psychologist] in good standing in [State]. I have treated and/or evaluated [Name of Applicant]. I make this affidavit in support of [Name of Applicant]’s request that the gender marker on the birth certificate be changed from [Female/Male] to [Female/Male]. If you also wish to change the name on your birth certificate, include this request in your applicant affidavit and include proof of your legal name change. 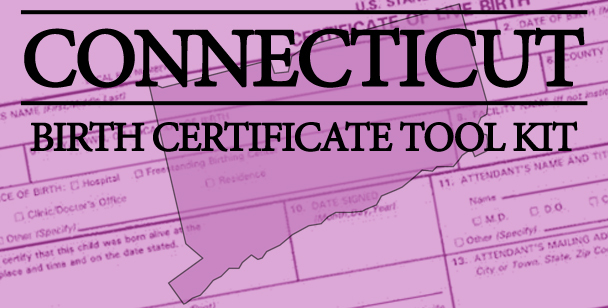 If you have not yet legally changed your name, and you are a resident of Connecticut, you may apply to the Probate or Superior Court for a name change. Pay a filing fee of $150.00.